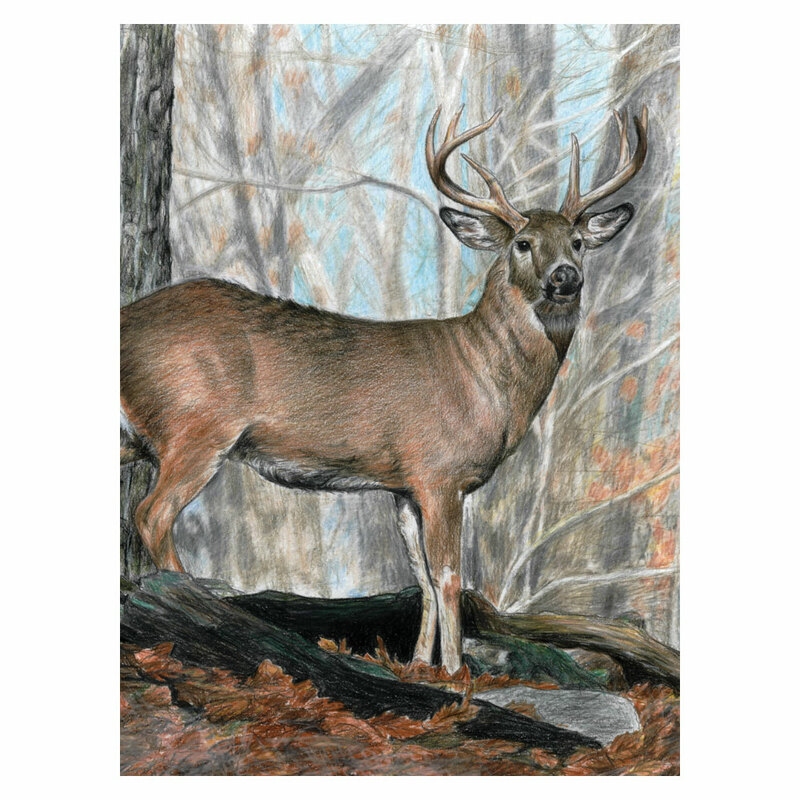 A beautiful, detailed, colour pencil by numbers, showing a proud buck in front of a woodland background. Suitable for ages 8 - 88. In the set you will receive a printed picture, the necessary coloured pencils, and pencil sharpener, plus full details. You can spend many quiet, relaxing hours, while you work on your picture, which will look fabulous when complete and then you can frame it and display inin your home. These make lovely gifts for family and frineds too.